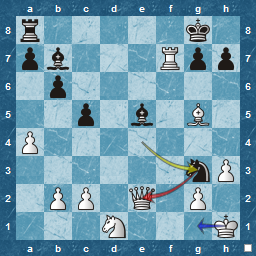 T9030 - Round 1 : Is the Caro-Kann exciting ? 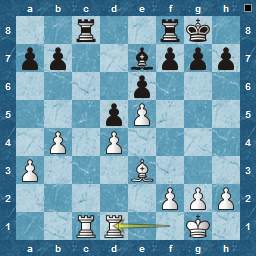 A game in a new T9030 tournament last night : a win in a Queen-and-pawns endgame. I'm not sure if it was my mood, or the Caro-Kann opening, or the endgame or a combination, but it won't be high on my "most enjoyable games" list. 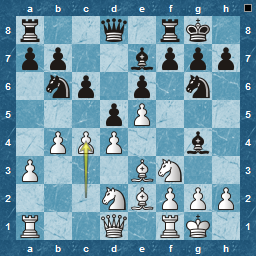 I don't often meet the Caro-Kann, and had not prepared anything, so was playing what I think are normal moves to develop and control the centre. Black put his knights on g6 and b6, which seems a little unusual to me, but I don't think I exploited it properly, especially the g6-knight. 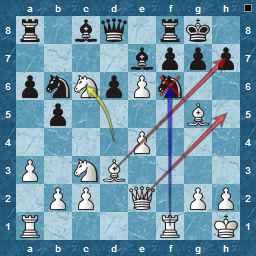 I had ideas of exchanging Bishop for knight and breaking up Black's King-side, but instead opted for a quieter Queen-side attack. Here, I have played Rfd1, instead of Rxc8. I felt that 19. Rxc8 Rxc8 20. Rc1 Rxc1 21. Bxc1 was probably a draw, and was trying to encourage Black to play Rxd1 instead. He didn't, but his Rc4 and subsequent exchanges gave me the c-pawn as a difficult target for an advantage. I really think this should be a draw, but my opponent never offered one, and since eventually I won the c-pawn, and Black made a mistake when running out of moves, I tried, doggedly, to win the Queen-and-pawn endgame that arose, as I felt I was ahead. 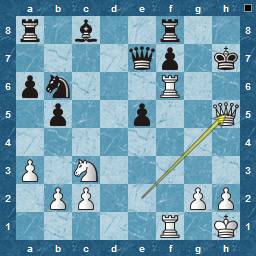 Next time I will offer the draw myself as it was a hard slog, and in fact checking this position ( EPD: 1Q6/K7/8/1P3k2/8/8/8/6q1 w - - ) when the two pawns were promoted, against online endgame tablebases, it is in fact a draw ! Maybe its lucky that I don't have these tables built into my head?! 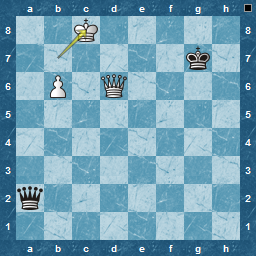 I guessed the key was to exchange the queens, but that involves putting your queen in a position where it must be captured, ie interposing to stop a check, and giving a check at the same time : difficult ! Not sure if my opponent just gave in or I won, but after move 68 ( and 17 moves of painful Queen manoeuvring ) he resigned. I will either find ways to avoid the Caro-Kann or else I need a suggestion from readers on how to enliven it ! Here's the solution to the first Reti Endgame Study that I published a few weeks ago ! Use the "Show Answer" button. 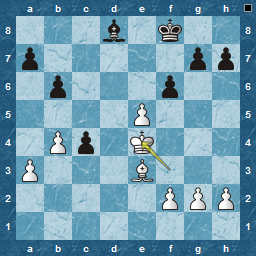 A good win in my latest Chess 9030 tournament game from a slightly different Philidor variation, and with what could be called a Queen sacrifice as part of it ! 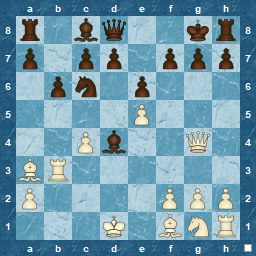 White varied in this Philidor game by playing an early a4 and omitting Re1 completely. In theory, ie in GM games, this will transpose back to mainlines, as Black doesn't really have much more than the usual c6, b6 etc and White's moves of Qe2 and Re1 are fairly standard as well. However, this time I had a line that I experience in blitz quite a bit, but not often in standard. Following my win in the latest game of the Chess9030 tournament I've reached my highest rating at ICC so far, a huge 1607 ! No, not Master-strength but after a decline in the past three months its good to show some progress again. Happily for me the game that put me over 1600 was a Philidor( the defence I have stayed with all this year ) , and involved a Queen sacrifice. Here is almost the final position, with Black poised to capture White's Queen. Although it is effectively all over, a mistaken move of Kf1, instead of Kf2 sped up the resignation. The full game is already in the Games Library, and I will try to annotate it this week. My next T9030 game looks like being a forfeit win, so that puts me joint top of my group, with the crucial match in the next two weeks ! Its a weak chess connection, but British newspaper the Daily Telegraph has published a list of 50 jokes suggested as "the best". Humour is quite personal, but I enjoyed them...clean and short.
" 28. A group of chess enthusiasts checked into a hotel and were standing in the lobby discussing their recent tournament victories. After about an hour, the manager came out of the office and asked them to disperse. "But why?" they asked, as they moved off. "Because," he said "I can't stand chess nuts boasting in an open foyer." "
Yes, not side-splittingly funny, but there you go. The rest are here, and most are better than the chess one : enjoy ! Anybody know any other chess-related jokes ? There must be funnier ones than the above ?! "A pawn comes home from work one day driving a fancy new car. His wife is astonished and says, "Darling, I don't think we can afford this nice new car on your salary." The pawn replies, "Relax, I'm about to get promoted!" 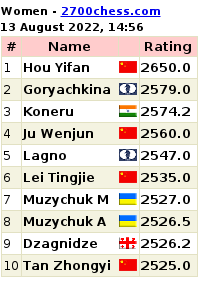 Team League 4545 : Season T47 - Chessmasters still alive ! It seems that the Chessmasters team is still alive !! Keen to play Team League chess, the high-rated board 1 from T46 U1600 is taking the mantle into U1800, and I am joining as a backup player, ie fourth board at the most. A step up for me, but looking at some of the other board 4s, they also play in U1600 as board 1 or 2, so I may be roughly equal on some occasions. A new team for this season. Chessmasters has mutated into Magnum Ignotum - the Great Unknown - as Chessmasters board one player is really so highly-rated now that the remainder of us would not be able to play together and stay as U1600 ! I remain as the default board 2 and am looking forward to some good games again. This time around I will be concentrating on removing blunders, tactics ( and/or calculation ) and endgames. 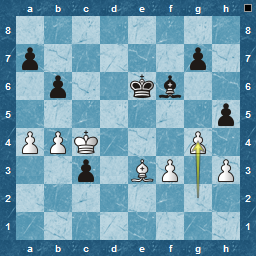 Openings will remain the same, with 1. e4 as White and for Black attempting to play 'classical' lines given the chance. Doubtless the Philidor will figure strongly in some form or other ! This was a good game for me, with lots of interest. It was probably only the second player I had met in this TL season who was close to me in ratings, so even though I had Black I felt that this would be more of an even chance. His game history told me that he was an e4-player, which was good : I could try the Philidor again ! Not me, I hasten to add, but see here. I tip my hat to him in and his "ballsy" attitude: a direct statement, putting his money where his mouth is. I, for one, wish him the best of luck and will follow his adventures with interest ! He's already added to my sidebar of links. Good Luck, Will. Go for it ! Active Play gains results ! The past couple of weeks I've been suffering with a cold, so I shouldn't really have playing chess, but it is for enjoyment after all ! Black has lost loads of tempi by moving his Knights around ( f6 to d7 to b6 as well as b8 to d7 to f6 ! ) and I can already see the 'Greek Gift' ideas around h7, which I put into place. Further slow moves, in response to my active ones, put him completely out of it and I end up with a totally won game ( despite missing quicker mates ). Enjoyable to say the least, especially against a Sicilian !